Posted December 11, 2015 by Jamie Willows & filed under News. Tuesday 5th January: Open as normal from this point onwards. Please refer to our opening hours here. We’d like to take this opportunity to wish all our customers a very Merry Christmas, and a Happy New Year from everyone at Rose House Butchery. Posted November 8, 2015 by Jamie Willows & filed under News. The Artisan Butcher & DC Smokers presents an evening of Southern style street food, at JB’s on St Peter’s Street, Ipswich, opposite The Rose House Butchery. This is a relaxed evening, pop in and grab a takeaway, or stay and chill with a drink or two. There is a fully licenced bar avalible, featuring some craft beers. Prices for food start from £1.50 and range up to £5.00. Pop in anytime from 6pm, open ’til late, Saturday 14th November. Posted October 28, 2015 by Jamie Willows & filed under Beef, Game, Lamb, News, Pork, Poultry. Christmas is coming and of course, The Rose House Butchery has everything you need for the a delicious foodie Christmas. From ‘Make Your Own Christmas Hamper’ courses, to delicious hams, Kelly Bronze turkeys, duck, geese and much more. If you can’t see what you are looking for, then please do get in touch, as we can offer a very broad range of options. To place your order, please email us, or call 01473 213869. We are proud to stock Britain’s most awarded Turkey – the Kelly Bronze, produced locally in Essex by Paul Kelly. All the birds are reared in the best welfare conditions, producing a delicious, traditional, Christmas dinner. Stuffed Breast Joint: £19.99 per kilo, for a 1-2 kilo joint, or £14.49 per kilo for a 3-4 kilo joint. Multiple bird roasts are available, please get in touch to discuss your requirements. All our bacon is dry cured by hand in house using age old artisan methods. All our sausages are hand made onsite using rare bred pork. Rose House Breakfast Chipolata £8.99/kg. Just the perfect breakfast sausage lightly seasoned with salt and pepper. Posh Pepper £7.99/kg. Fresh fragrant pepper with a classy refined edge. Cumberland £8.99/kg. A classic Cumberland with more pepper than sage. Lincolnshire £8.99/kg. A classic Lincolnshire packed full of herbs. Pork and Apple £7.99/kg. The classic combination of pork and apple, with a lovely sweet edge. Pigs in Blankets £9.99/kg (14-18 per kg). Made using the Breakfast Chipolata and our dry cured streaky bacon. This is just a small selection of sausage flavours that we can do, lamb and beef available in the shop or upon request, as well as other unique flavours. Posted July 21, 2015 by Jamie Willows & filed under Pork. For the week commencing the 3rd August 2015, we have some great deals on Pork Steaks and Pork Mince. Our steaks are now just £6.99 per kilo, and our mince is now just £6.49 per kilo, a great saving! We’ve put together a few recipes which we think provide the perfect inspiration for getting your pork on……. We think this Fruity Pork Steak recipe from the BBC Good Food website is a great Summer or Winter recipe. Simply serve with a fresh green salad for a refreshing Summer dish, or a great big dollop of mash potato for a cosy Winter warmer. This Moroccan Pork Mince recipe by Kiwi Kathy on the Food.com website is a great, healthy and quick dinner. 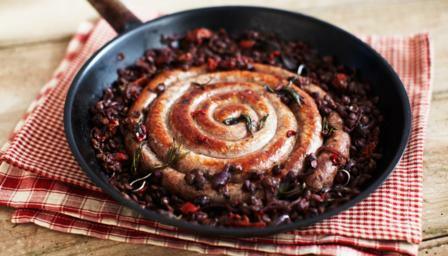 Our unique sausage recipes have received some fantastic feedback since we opened the Rose House Butchery, which is great! This week (w/c 20th July 2015) we are offering a great deal on our Cumberland, Lincolnshire and Breakfast sausages, which were £8.99 per kilo, now just £6.99 per kilo. Below are some classic recipe ideas, to get your juices going! This Cumberland sausage recipe by Rick Stein, on the BBC’s website, is a fantastic twist on a classic dish and definitely one of our favourites. Another great recipe from Kinfolk, which also includes the method of making Lincolnshire Sausages, but we’ve taken the hard bit out for you. This is a super quick and easy recipe, perfect for when you are just getting in from work. 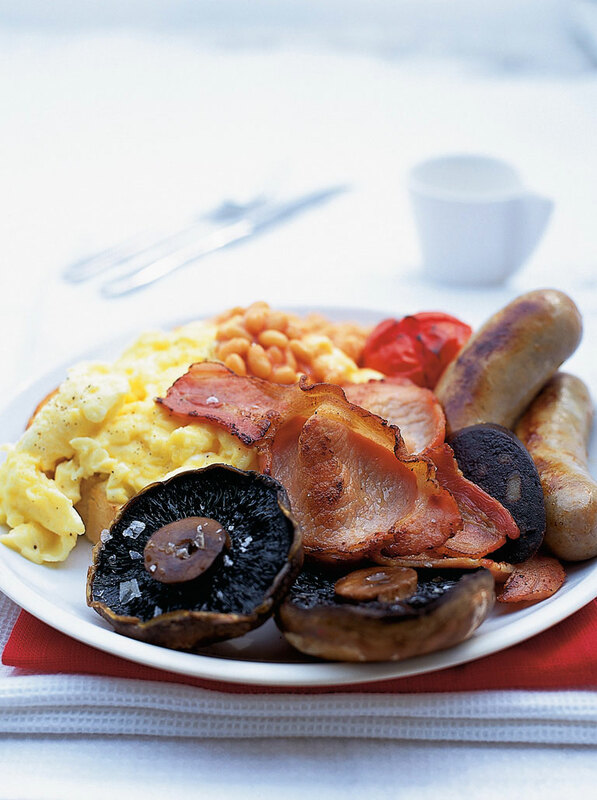 We couldn’t talk about Breakfast Sausages, without having a Full English. Check out Jamie Oliver’s classic fry-up recipe for the perfect lazy Sunday morning breakfast, using Rose House Butchery Breakfast Sausages. We’ve had some fantastic pork in from Baylham House Farm (when we say we work with local farmers, we mean it), and we’re focusing on the very underused cut of Pork Belly. Pork Belly is traditionally thought of as quite a fatty cut, but it has some fantastic flavours. We’re put a couple of our favourite recipes below, to give you a bit of inspiration. Check out the recipe for Glazed Pork Belly with Ginger Barbecue Sauce from The Food Network, we think it’s a great Summer recipe, perfect for finishing off over the barbecue. The Sticky Belly Pork recipe on the BBC Good Food website, is another fantastic twist on Pork Belly, and another perfect Summer dish. Our newsletter subscribers have access to exclusive deals every month, and for this month they have received a fantastic deal on Pork Belly. Like to get your hands on some extra special discounts? Sign up for our newsletter by clicking here or sending us an email. We don’t share your information with anyone else. Posted June 9, 2015 by Jamie Willows & filed under Beef, News, Pork. A Sunday Roast of Pork, Perry and Pears, by Nigel Slater. This is a delicious recipe for roast pork, once of my favourites and so easy to do! The Food Network has a fantastic selection pack of recipes all of which use mince. There are 50 in all, so a fantastic selection for you to choose from, the image above is from their Greek-style stuffed pepper recipe, one of our favourites in the shop. Posted May 27, 2015 by Jamie Willows & filed under News. From the 26th May 2015 we will be offering 10% off everything at Rose House Butchery every Tuesday. Just pop into the shop on a Tuesday and mention 10% Tuesdays to receive 10% off your total purchase. Posted May 11, 2015 by Jamie Willows & filed under Uncategorized. Baylham House Farm is located just outside of Ipswich and specialises in the farming of rare breed animals. Owned by Richard Storer since 1985, the farm is run by Richard and his son Neil, along with a small team of staff and a dedicated group of volunteers. The premise of the farm is to protect several native breeds which are under threat due to the pressures of modern farming. All of the animals raised at Baylham Farm live in stress free conditions with plenty of space to roam, which produces fantastic quality pork, lamb and beef. As well as being a working farm, dedicated to the preservation of traditional British livestock, Baylham House is a very popular visitor attraction. The farm is a fantastic educational resource centred around farming and rare breed conservation. Visitors have the opportunity to get up close and feed all of the Baylham animals, from chickens to lambs, cattle, goats, pigs and much more. There are special events dedicated to the annual farming calendar, including lambing where visitors can cuddle the newborn lambs, to shearing with the Festival of the Naked Sheep. Visitors can also relax in the café with home made light lunches and cakes, while the children wear themselves out on the play area. Breckland Larder is owned by Paul and Fiona Sleightholme, who have been farming together in the Suffolk and Norfolk area for 20 years. Farming is very much in the family with both Fiona and Paul coming from livestock farming backgrounds, and all six of their children having an active interest in farming. Breckland Larder started off with four hundred sheep, twenty cattle and a few pigs. Situated with grazing on the stunning Breckland heathland on the Suffolk and Norfolk border, the area is also home to a diverse selection of plants and wildlife which the Breckland Larder animals graze alongside. Breckland Larder produce a great variety of rare breed sheep including Jacob, Hebridean, Manx Loaghtan, Herdwick, Soay, Shetland and several more, with over 2000 breeding ewes. All of the sheep are kept outdoors on grass to produce fantastic lamb, hogget and mutton. Breckland Larder also produce a great variety of cattle including Dexter, Longhorn, Belted Galloway and Highland, with a herd of between five and six hundred. All of the cattle are kept outside for the majority of the year on grass, being fed on locally grown vegetables during the winter months. Calving takes place both in the spring and the autumn, with the calves remaining at Breckland Larder until close to 30 months to ensure the beef has the maximum flavour. Also found on the Breckland heathland are Boer goats, bred both for meat and milk. They enjoy exploring the gorse bushes and shrubs on the heathland with kids joining them in the spring. Alongside the goats, Breckland Larder also has a variety of rare breed pigs. Paul and Fiona have a great commitment to the conservation of rare breed animals and there are plans to start a herd of Large White and Welsh pigs, both of which are listed on the Rare Breeds Survival Trust at risk group. If you are interested in wholesale orders for Breckland Larder produce, then please contact Jamie here.